ATLA Elects New Leadership; Stein Elected Secretary-Treasurer - McMath Woods P.A. Published on Jul 17, 2018 at 7:06 pm in Partners, Uncategorized. Members of the Arkansas Trial Lawyers Association (ATLA) recently voted the organization’s 2018-2019 Board of Governors into leadership. Carter C. Stein, McMath Managing Partner, was elected Secretary-Treasurer. Stein will serve in the Secretary-Treasurer position for one year, and support the Board’s goal of strengthening the civil justice system through education and disclosure of information critical to public health and safety, and specifically to preserve the right to trial by jury. ATLA, incorporated in 1963, is a statewide voice for consumers. 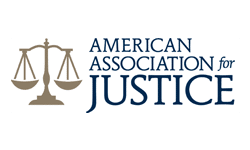 The organization’s 750 members are committed to improving the quality of legal representation for Arkansas families by providing high quality legal education and by keeping abreast of legislative and judicial activities.